The agency says it recently obtained information from Dow AgroSciences that suggests its Enlist Duo may be more toxic than the EPA originally thought. Update: On Janury 28, 2016 the 9th U.S. Circuit Court of Appeals rejected the U.S. Environmental Protection Agency’s decision, effectively putting the herbicide — and the new generation of GMO crops it was designed to be used with — back on the market. Last week, the U.S. Environmental Protection Agency (EPA) made an unusual move—it changed its mind. In a legal ruling, the agency said it would revoke its approval of a controversial new herbicide called Enlist Duo, which combined the weed killers glyphosate (Roundup) and 2,4-D. The EPA had approved the Enlist Duo just a year earlier, despite considerable public opposition and “grave concerns” from about 50 members of Congress. 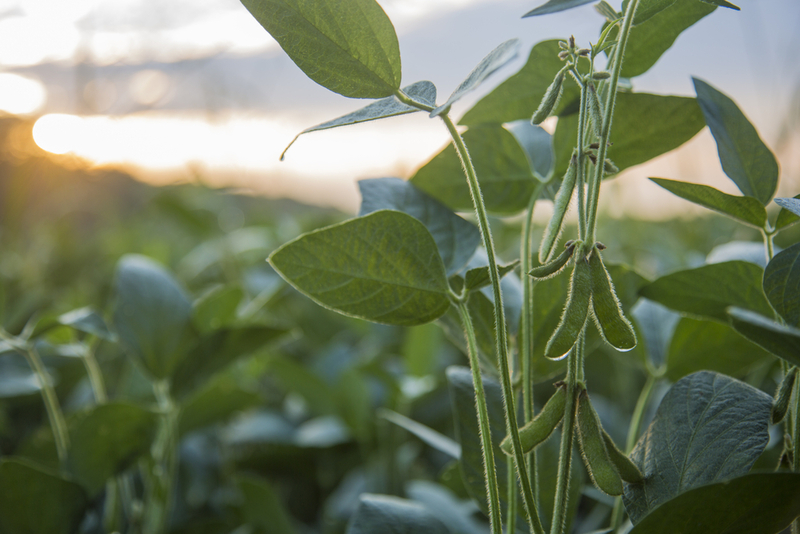 Made by Dow AgroSciences, Enlist Duo was specifically formulated to be used on corn and soybeans genetically engineered to resist it. And although it was initially approved for use in only six Midwestern states, the EPA extended that approval to an additional 10 states this past spring. This change of heart comes in response to lawsuits brought against the EPA by environmental groups, which argued that the EPA had failed to fully consider the herbicide’s adverse effects, particularly on plants and animals protected by the Endangered Species Act. Among these are the imperiled monarch butterfly, the whooping crane, the gray wolf, the pallid sturgeon, several bat species, and numerous terrestrial and aquatic plants. The EPA says it has recently obtained information from Dow that suggests Enlist Duo may be more toxic than the agency originally thought. “The EPA has acknowledged that there are dozens of endangered species that live in and around these fields and that will be consuming prey that has been sprayed with these chemicals,” said Paul Achitoff, an attorney with Earthjustice one of the groups that sued the agency. George Kimbrell, a senior attorney for Center for Food Safety, called the decision, “a huge victory for the environment and the future of our food,” in a statement released by the group. If the EPA is having second thoughts about Enlist Duo, why was it created in the first place? Because glyphosate—which is sprayed on nearly 95 percent of the corn and close to 90 percent of the soybeans grown in the U.S.—no longer kills these weeds effectively, farmers needed something more powerful. So Dow decided it would combine glyphosate and 2,4-D to create Enlist Duo. But Dow knew that farmers couldn’t spray the resulting herbicide unless they could grow corn and soy plants that would withstand the combination. That’s where the new crop of genetically engineered seeds entered the picture. Before last week’s decision, the U.S. Department of Agriculture (USDA) had written that it expected Enlist Duo use to result in an increase in 2,4-D use by as much as 300 to 700 percent by 2020. Environmental groups were concerned that this would further contribute to weed resistance, as 2,4-D resistant weeds have already been found in the Midwest, where the herbicide has drifted from fields where it was applied and contaminated both surface and groundwater. One of the additional concerns about expanded 2,4-D use is that the herbicide is prone to drift, creating problems for neighboring farms that don’t use the chemical and other undesirable exposure issues. “We’re drenching the landscape with more and more chemicals and weeds are highly adaptable,” explained Center for Biological Diversity environmental health director and staff attorney Lori Ann Burd. While unwanted plants are becoming resistant to these chemicals, the herbicides are also killing other plants important to wildlife. Glyphosate has hit milkweed—a key food for monarch butterflies—particularly hard, explained NRDC wildlife conservation project director Sylvia Fallon. The “EPA failed to evaluate the impact on monarchs,” whose populations have been plummeting in recent years, she added. Earthjustice’s Achitoff also points to the fact that when approving Enlist Duo, the EPA chose not to look at glyphosate’s health effects because it already had sufficient information about that chemical. But since the herbicide was approved, the World Health Organization has classified glyphosate as probably carcinogenic and 2,4-D as possibly carcinogenic to humans. When it approved Enlist Duo, the EPA actually did acknowledge that the herbicide could adversely affect what it calls “non-target” species—plants and animals and their food sources not intended to be killed by the chemical. But the agency decided to greenlight the herbicide anyway, saying that 30-foot buffers would protect against unintended effects. Now the EPA says it has new information about how Enlist Duo’s two main ingredients—glyphosate and 2,4-D—act together in what are called “synergistic” effects. And these effects might be more toxic than the agency previously thought. The fact that the EPA is taking these “synergistic” effects into account is significant, said Center for Biological Diversity’s Burd. The EPA, she explained, “typically looks at one pesticide at a time and routinely dismisses synergistic impacts.” In fact, chemicals are typically considered and regulated individually without regard to how their effects may combine with those of others to which wildlife—or people—may be exposed. In this light, the EPA’s reversal on Enlist Duo is remarkable, Burd said. Asked about the future of Enlist Duo resistant seeds should the companion herbicide not be re-approved for sale, USDA did not have a response to offer. “They’re specifically designed to be used with Enlist Duo, so there’s little incentive to use them if you can’t,” said Earthjustice’s Achitoff. The EPA is now reviewing the new information submitted by Dow and says it could “result in changes” in required buffer zones. Thank you, the Bees will also thank you by surviving and pollinating once again. Now on the Franken Fish, bad idea. Very bad idea. Soylent Green, bring anything to mind? Chemicals,chemicals, and more chemicals! It's only a matter of time until someone strikes a match and it really will be "Hell on Earth". Awesome...why the heck would the EPA approve something so dangerous in the first place was maddening showing the level of power Monsanto has in affecting rules that favor profits over people. Dow submitted data to the patent office demonstrating synergy against plants, not animals. Data are available demonstrating a lack of synergistic effects on animals. The plant data are what is driving EPA's actions. This article is misleading. See Andrew Kniss' post at weedcontrolfreaks.com for an accurate summary. Corn is already naturally resistant to 2,4-D. It only kills broadleaf plants and corn is a grass. Secondly, you can still buy the two different herbicides separate and mix them in a sprayer. Third, this herbicide is made by Dow, which has nothing to do with Monsanto. Monsanto has a similar product to this Enlist Duo that has not yet been approved. You're welcome for the education. While the EPA's decision to withdraw its approval of Enlist Duo is based on new information the agency received about synergistic effects – between the two primary herbicide components of Enlist Duo – on plants, the fate of these plants has the potential to affect animals that rely on them for food. This connection was a key part of the lawsuit against EPA. The EPA's registration document for Enlist Duo does outline the herbicide's potential to affect animals as well as plants. It's also worth noting that the approval focused on effects of the 2,4-D in the mixture and does not specifically discuss impacts of the combination of that 2,4-D and glyphosate together. What is the status of 2,4-D now, 2019? Thank you!